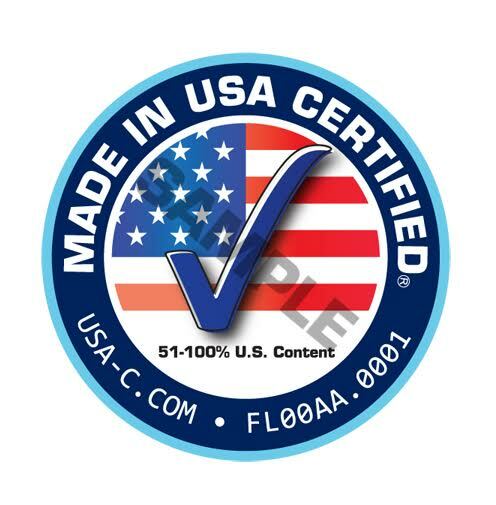 Simple Answer: CERTIFY Your Products as MADE IN USA CERTIFIED! Retailers that listen to the demands of the public often find the very best ways of delivering the products wanted by their customers. Today, 80% of Americans have stated they prefer to buy goods MADE IN THE USA and would even pay more for them1. Some companies have tried to fool the public by falsely applying a “Made in USA” sticker, but HOW DO YOU KNOW that what you buy was actually MADE in the USA? Six years ago, a high tech firm in South Florida designed a way to verify that products are in fact MADE IN THE USA and could CERTIFY that fact through extensive audit procedures they developed. The results have been dramatic, to say the least, as companies legitimately earning the MADE IN USA CERTIFIED® seals on their goods have seen increases ranging from 37% to 300% in a matter of months or less. Those types of results have earned MADE IN USA CERTIFIED and its parent CERTIFIED, INC. recognition as the Nation’s ONLY independent “USA-Country of Origin” Certification source, and brought scores of wholesalers and retailers of all sizes to their door. 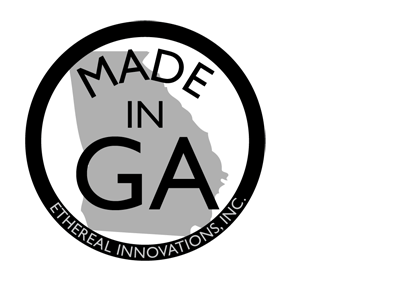 One wholesale client of CERTIFIED reported that sales of a product line sent to their retailers grew over 300% after they received their certification and applied the MADE IN USA CERTIFIED® seals to their products. Another, a juice manufacturer remarked that their products “flew off the shelves” once the audit was completed and their MADE IN USA CERTIFIED® seals were applied to the caps and cartons of their products. After years of reports of the absence of quality found in products manufactured in China and other parts of the world, consumers are becoming readily aware that they can rely on the quality and integrity of USA made products. With overseas labor costs rising, price is becoming far less an issue than WHERE a product is made. In a survey conducted by the Boston Consulting Group, it was discovered that 16 percent of American executives stated that they were bringing production back home from China. That amount has grown from 13 percent a year ago, and now 20 percent say they would consider doing so in the near future. That move has helped formulate a new term: “reshoring”. With the American public demanding USA made goods, the survey also stated that the U.S. has passed Mexico as the place where companies are most likely to build a new plant to make things to sell in the U.S. Suddenly, a small US company has helped to trigger and support the rebirth of pride in American made goods, a rebirth that could easily lead to more jobs and a resurgence of the US economy. MADE IN USA CERTIFIED is playing a dramatic role by giving companies a simple, professional means of certifying the Country of Origin and thus building consumer confidence in buying their products. By certifying everything from house wares to pet products and supplies; juices to wines and spirits; building supplies to furnishings; and clothes and cosmetics, CERTIFIED, INC. and its MADE IN USA CERTIFIED® program is proving that smart retailers have discovered a great way to grow their businesses, create jobs and help the US economy by independently certifying their products. WHY HAVEN’T YOU? Find about more about Made in USA Certification.